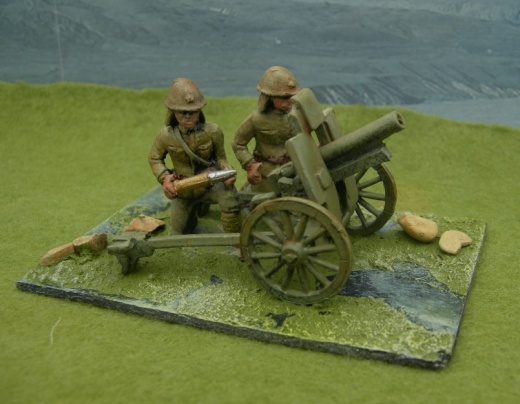 A range of artillery pieces for the wargamer and collector. With a range of interest from the norm to the unusual. The time period covered is from 1880 to post WW2. We do not claim that these are the most detailed gun models in the world, in that they don't have all the cogs and handles, etc, of the actual pieces. We feel however that they fill many useful gaps for the wargamer or collector. 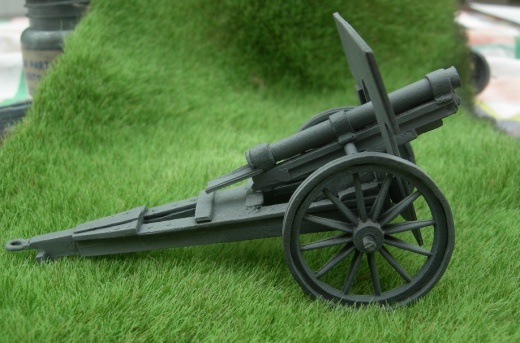 For other guns see our WW2 and colonials ranges. British 15pdr Krupp m.00 as used in the Boer war. It was used with and without shield. See later for another version of this under 3b. Also represents the Danish m02, Swedish m02, Romanian m03, Belgian Krupp tr, Chinese Krupp 00, Boer Krupp 00. (used against the British) Japanese Krupp 00 (used against the Russians 1904-1905) also used by various small Balkan countries in the first and second Balkan wars prior to WW1. It also becomes the Turkish m03/10 fieldgun, the most common gun used against the allies in the middle east in WW1. The same gun was sold to the Spanish army and was used by both sides in the Spanish Civil War. In most cases these guns soldiered on from the turn of the century up until WWII. If used without shield it is very similar to the Egyptian Krupp quickfirer some of which became Mahdist. Russian 76mm m02 and m02/30 fieldguns. Some were supplied to the Spanish for use against the fascist forces during their civil war. Russian 76mm m33 divisional gun. Used by soviet army in 1930's and start of WWII. Some supplied to communist Chinese prior to WWII and after. Use as Swiss 75/30, Dutch m03, Japanese 75mm Meiji 38 type supplied to them by Krupp in Jan 1905 for the last part of the Russo/Japanese war but also used by them in WW1 against the Germans at Tsingtao as well as against the Chinese in the 1930's. Italian Krupp m06, m11 used extensively in WW1 as their main fieldguns but also part of their colonial equipment. In this appearance the gun was also used by the Spanish during their civil war. Krupp 7.7cm fg96 the main field gun of the German army in WW1. Also supplied to central powers allies. Used by Bulgaria and Turkey. Also supplied to fascist forces during the Spanish Civil War. This becomes the Dutch 7.5cm (mod) used in Europe WWII. Captured guns used by the Germans. Very similar to improved guns used by the Chinese against the Japanese in the 1930's. Various Balkan countries. This is the same gun as two b but as modified for use in the anti tank role and for towing by truck. It is the main field gun of Dutch forces in the far east against the Japanese. Captured guns used by the Japanese. Also similar to gun supplied to China. 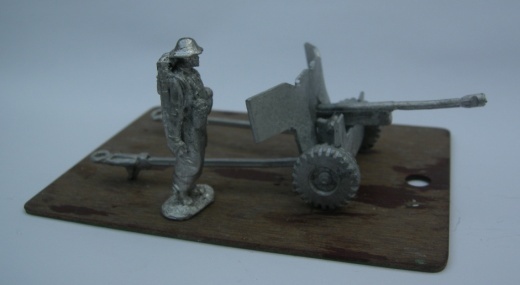 7.5cm Krupp with rubber tyres. In this form it is similar to the motorized version of Gun Type Two A used during the Spanish Civil War and by various Balkan countries. Austrian WW1 8cm fg m5 state/skoda. This is the main field gun of the Austro/Hungarian army in WW1. It is almost identical to the skoda 7.5cm fg m12 which was supplied to china but was also used by the Austro/Hungarian army and later by Czechoslovakia up to WWII. Captured guns used by Italy and Russia. 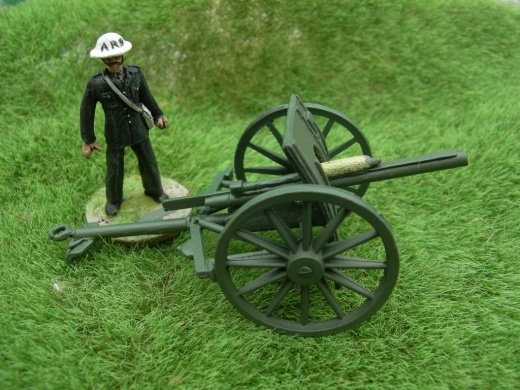 This is the 18pdr British WW1 main fieldgun but introduced from 1904, or as the 13pdr British WW1 horse artillery gun. There is no difference shown because there is almost no difference except calibre. Issued to all empire forces as well. Some supplied to the Americans. 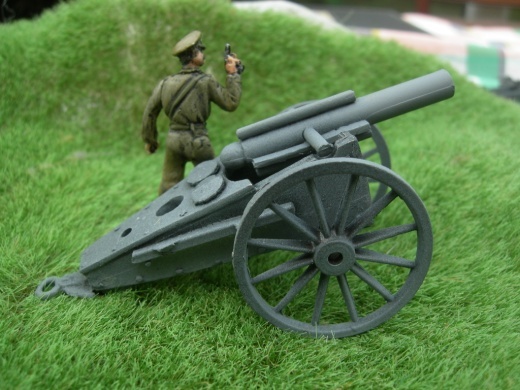 This converts the 15pdr Krupp Boer war gun used by the British to the WW1 version of it. 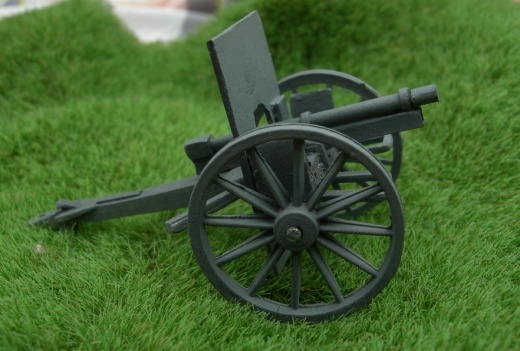 In this form the gun was issued to territorial artillery, then used in the middle east, also used by Indian army. Gunshield slips on to the front of the barrel and sits between the wheels. This is the 18pdr mk3 with extra elevation, supplied in large numbers in the latter part of WW1 to British forces but continued in service until WW2. Also supplied to China, Estonia, Latvia, Ireland, and commonwealth countries. Was later replaced by the 25pdr. Gunshield fits over the gun and fits between the wheels. Russian 122mm howitzer M10 Schneider. Also used by Finland. One of the most important field howitzers on the Eastern Front of WW1. Still in use WWII. Russian 122mm howitzer 7 M10/30. State/Schneider. Modified version of the M10 used up to the end of WWII. Schneider M11 & M07 12cm howitzer. Used by Bulgaria, Serbia, Greece, Belgium WW1, Spanish during Civil War. Schneider 120mm howitzer TR. 1915. Used by French army WW1, Spanish during Civil War. Schneider 120mm howitzer M97. Serbia 1898. 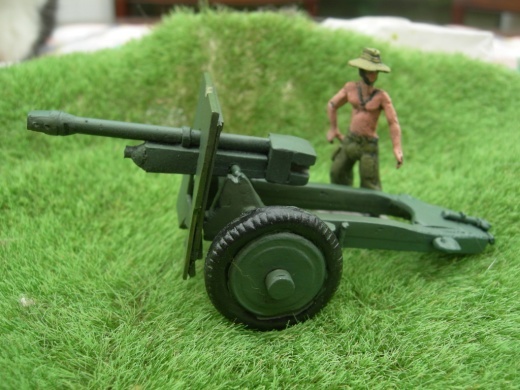 Schneider 15mm howitzer M1917. Used by French army, US army WW1. St. Chamond 12cm QF howitzer. Used by Belgian army WW1. Krupp 12cm L14 & M09 howitzer. Used by Dutch Army WW1 to WWII. 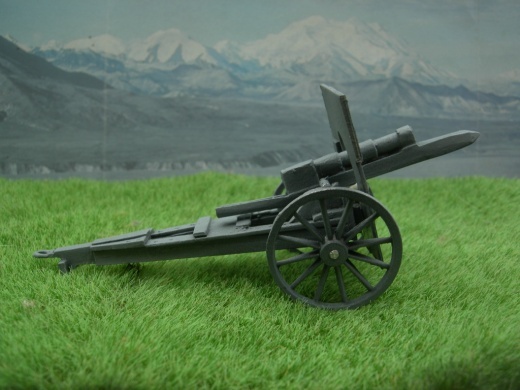 Krupp 12cm M09. howitzer. Used by Norway 1910 to WWII. Krupp M05 12cm howitzer. Used by Japanese as Meiji 38/12cm 1905 onwards. Krupp M92. 12cm howitzer. Used by Turkey and various Balkan states 1895 onwards. Krupp 15cm FH13 (short). Used by Germany throughout WW1. Turkey and other central powers. Krupp 15cm FH13/17 Lange (long howitzer). Replacement for FH13. Important field howitzer for last two years of WW1. Krupp 15cm F11/13/17 Lange. Same as above but in second line WWII service. Krupp 15cm. Meiji 38/15cm. Japanese 15cm heavy field gun used against Tsingtao WW1, later against China. Second line service WWII. UK 26CWT M1915. 6" howitzer, heavy field howitzer introduced during WW1. Used by British and Commonwealth forces. Still in use in WWII. UK 26CWT M1915. 6" howitzer modified, same as above except as used in WWII. 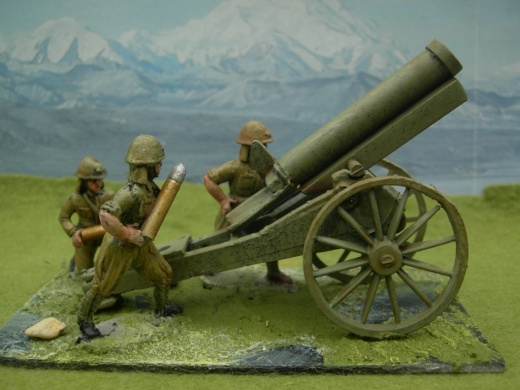 Standard heavy field howitzer in the North African campaign WWII. Pulitov/Obuchov M04. 12cm howitzer. Used by Russia 1904 to WW1 and later by USSR. Baquet M90 Shortgun (howitzer). Used by France and Belgium. In service from 1892 to WW1. 15cm M99 howitzer. Used by France and Belgium. In service from 1892 to WW1. State 10cm field howitzer M99. Used by Austria-Hungary. Actual calibre 104mm. Main equipment of field howitzer regiments from1900. Standard field howitzer well into WW1. Also used by Balkan countries. 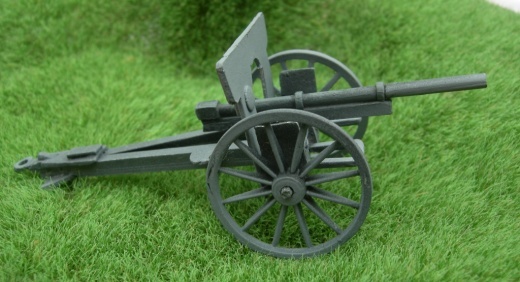 5" howitzer MK2 1895. FH127mm. Used by Great Britain and Russia. Later given to Arab Sharifian Army WW1. Also used by Indian army. In service 1895 to WW1. Including Boer War. 6" howitzer 30CWT 1886. Used by Great Britain and Commonwealth. Extensive service in Colonial Wars, Boer War and WW1. 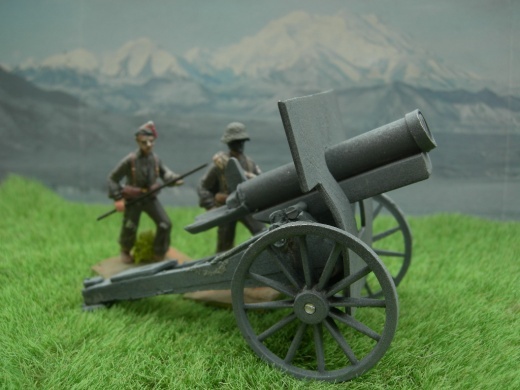 Krupp 1880 15cm howitzer. Used by Germany, Turkey, Balkan states. 37mm L45 Soviet model 1930 - basically the same as the German PAK 37mm. 45mm anti tank gun. Soviet model 1937. 45mm anti tank gun. Soviet model 1942. 57mm (long) anti tank gun on early trail. Soviet model 1941. 57mm (long) model. 1943 Zis on later, tubular trail - also used by client states post WWII era. 76.2mm anti tank gun. Soviet model 1942. 76.2mm anti tank gun. Soviet model 1942 Zis. 85mm anti tank/field gun. Early type Soviet model 1943. 85mm D44 anti tank/field gun. 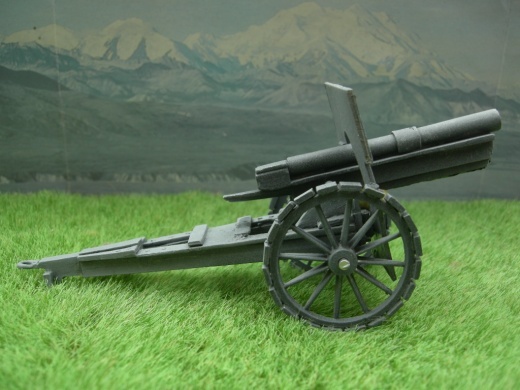 Soviet model 1944 (low, long trail). Extensive use post-war. 100mm anti tank/field gun. Soviet model 1944 BS-3. Also used extensively post-war. 76.2mm L50 on FH M10/30 carriage. 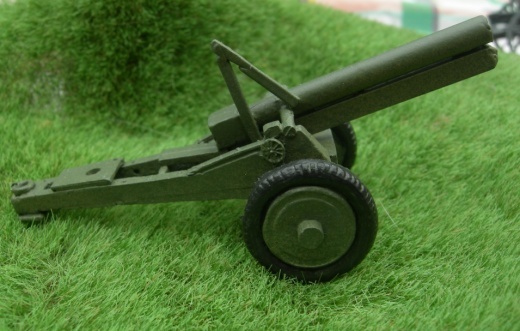 Soviet WWII model 1933. 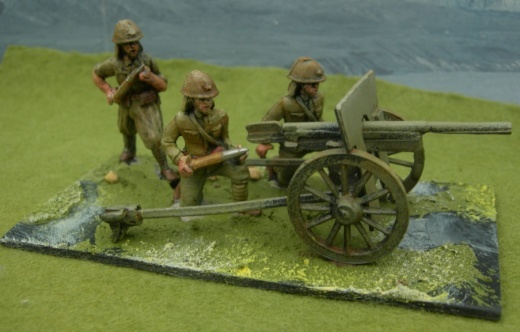 Divisional field gun 7. 76.2mm Zis model. 1936 field gun Soviet WWII. 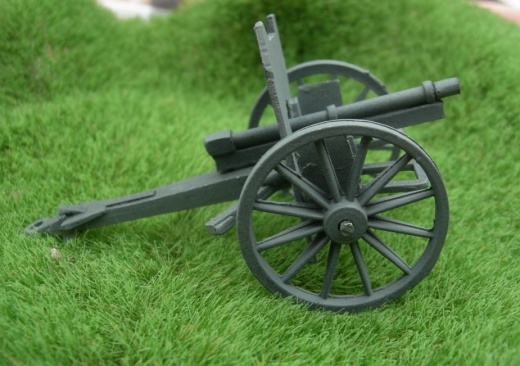 76.2mm model. 1939/42 Soviet standard field gun. 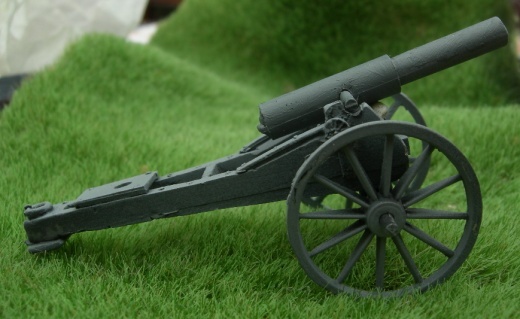 76.2mm model. 1941 Zis-3 Soviet standard field gun, similar to above, different trail. 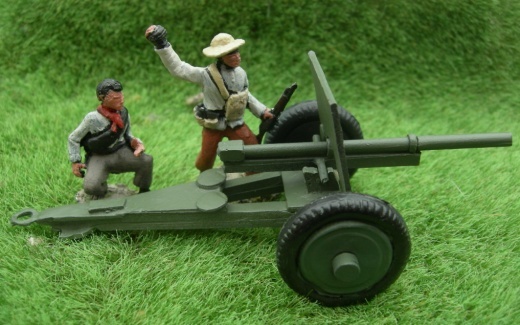 76.2mm field gun model 1939. The most common Soviet field gun of the WWII post war. 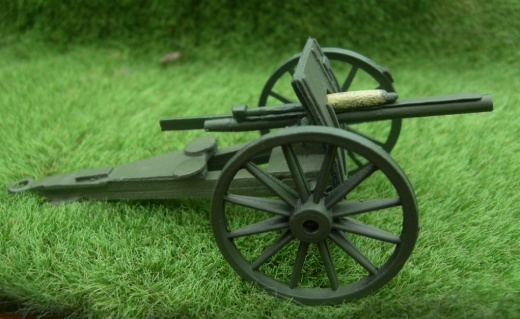 152mm howitzer (modernised) model 09/30. Soviet WWII. 122mm gun M193i/37 Soviet WWII. 152mm howitzer M1937 ML20 Soviet WWII. 152mm howitzer M1943 M1937 ML20. Soviet WWII. 122mm field howitzer M1938 Soviet WWII. 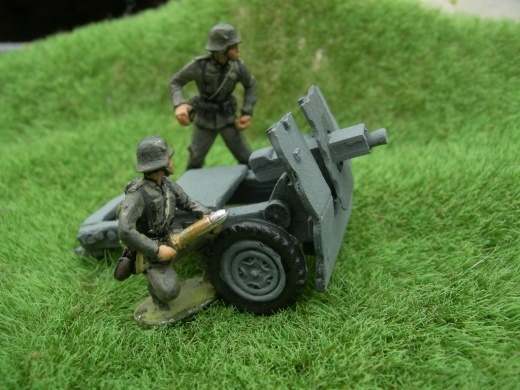 German 15cm FH02. 1902 field howitzer. German 15cm Schwerefeld - Haubitzer 1890 - WW1. Japanese type 94 infantry/anti tank gun 1934 - 1945. Japanese type 92 battalion gun 1932 - 1945. Japanese Krupp 7cm field gun used in Russo-Japanese war, WW1, also used by Turkish forces. Japanese (pack) type 94 76mm mountain and regimental gun 1934 - 1945. Also used by VC and North Vietnam army during Vietnam War. Japanese type 90 Osaka/Schneider divisional field howitzer 105mm 1931 - 1945. Japanese type 92 105mm divisional field gun 1932 - 1945.